Original article: During the recent gameplay videos from Battlefield 1, you may have noticed that things we’re looking as they always do: fields full of men shooting each other. 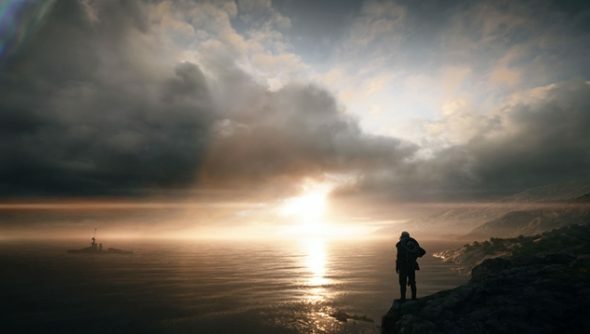 There’s not a woman in sight in Battlefield 1. According to an ex-DICE coder, this is because the concept of a female soldier is just not believable to the game’s core audience of boys. Talking about her experiences at DICE on Twitter, Amandine Coget explained that the original Battlefield 1 pitch said “screw realism, we’re adding female soldiers, because we’re way overdue”. But, a few months later, an email thread at the company declared the idea was scrapped. The original BF1 pitch given onstage was WW1, with one caveat: "screw realism, we're adding female soldiers, because we're way overdue". At a meeting with the project leads, Coget says she was told that female characters mattered to DICE, but the game was going for realism. “It’s just not the game we’re making” the studio reportedly claimed. I'll sum up the key points. Turns out BF1 was going for realism after all! Female chars matter but "it's just not the game we're making". Coget was understandably upset, especially considering Battlefield 1 takes a fair few liberties in regards to historical realism. “Check how many tanks were involved and how they worked. Check the lethality of parachutes,” she tweeted, noting that these are just two non-realistic elements in the game. I did eventually get them to spit out the real reasons. All that is believable but female soldiers are not, to the core audience of boys. She went on to tweet that DICE eventually explained to her that the real reason for female soldiers being withdrawn from the game was that the core audience of boys could believe that the way tanks and parachutes in the game worked was accurate, but couldn’t believe that women soldiers were. And hey I get it. But you're still downpriotizing it – again – due to assumptions about your audience – again – and what's "credible". That, combined with the added expense of creating new models and voices for women soldiers would make the game pricey, apparently. Coget believes this choice is down to DICE making an assumption about their audience and what’s “credible”. The Battlefield 1 campaign does feature a female lead character, and while it’s good to see DICE embracing diversity over there, it doesn’t offer any real excuse for why women soldiers aren’t in the multiplayer. It’s the core mode of the game, and the other big shooters this year will be featuring female soldiers. What’s more, women soldiers did fight in World War 1, so historical accuracy wouldn’t be an issue. As for audience, I don’t recall anyone moaning about Titanfall’s female soldiers, and pretty much everyone under the sun plays Windowmaker in Overwatch. Hopefully DICE will realise this and make the change for positive diversity soon.